Figure F.2. A wave has energy in two forms: potential energy associated with raising water out of the light-shaded troughs into the heavy-shaded crests; and kinetic energy of all the water within a few wavelengths of the surface – the speed of the water is indicated by the small arrows. 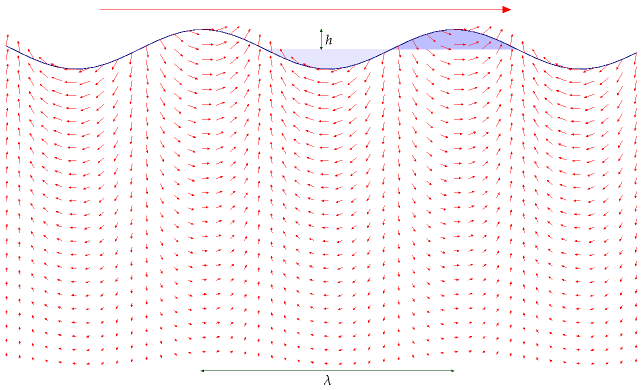 The speed of the wave, travelling from left to right, is indicated by the much bigger arrow at the top.